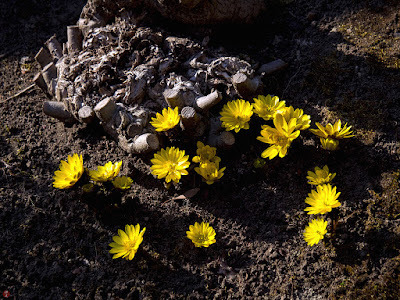 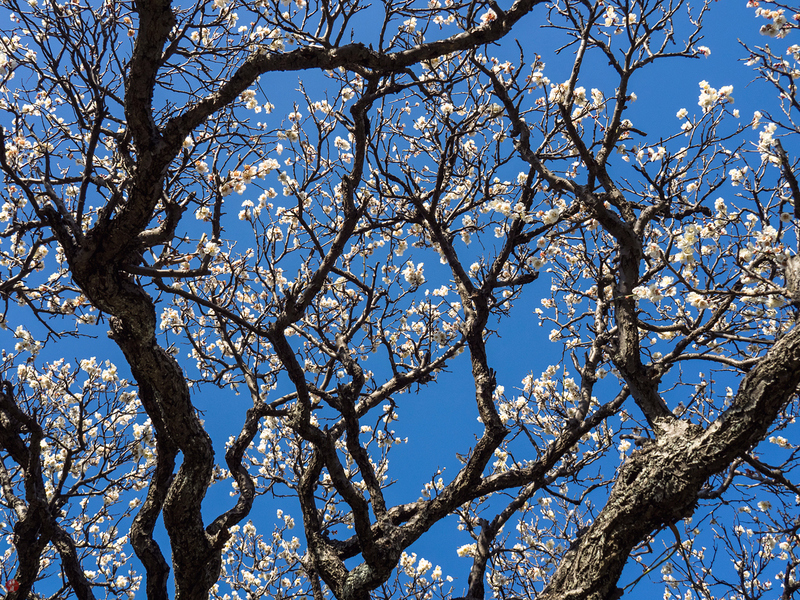 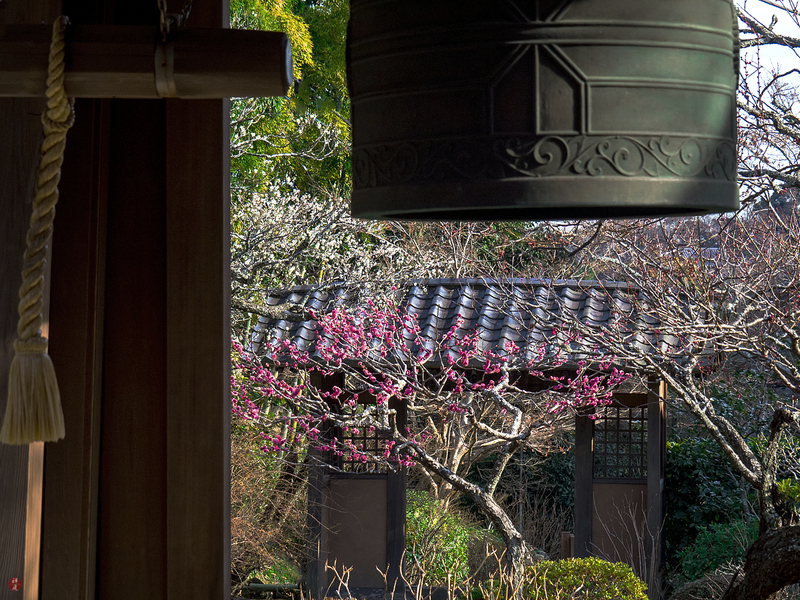 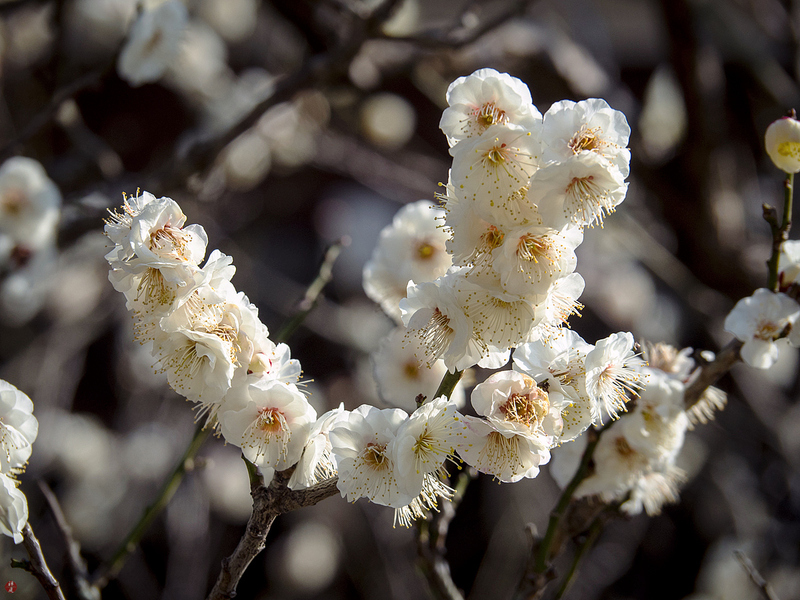 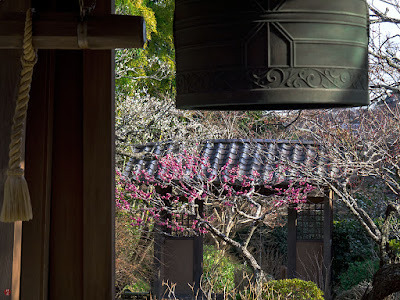 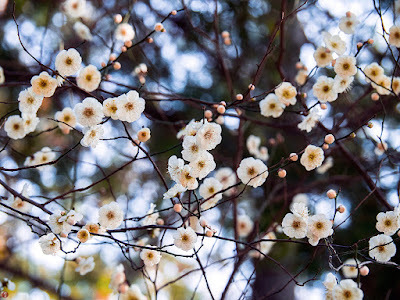 Against the bright blue sky of early spring, the countless white blossoms of ume are in full bloom to nobly declare the arrival of this long-awaited season. 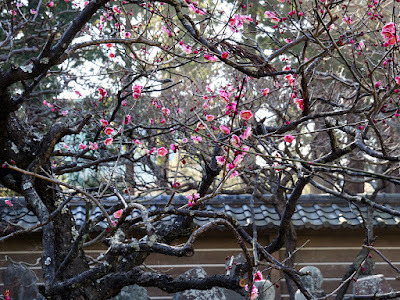 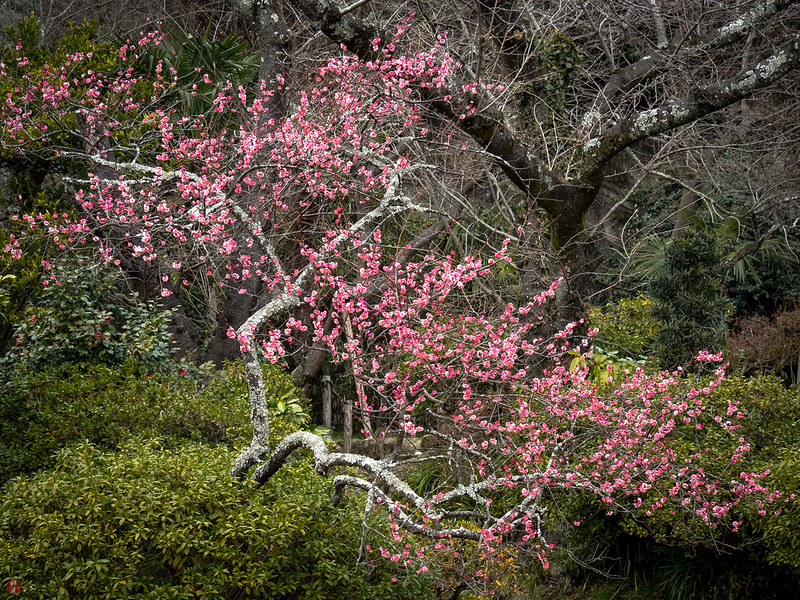 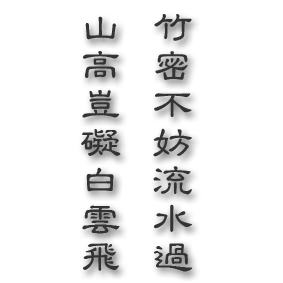 The rugged branches of the aged ume tree are persistently struggling to seek the sun and are drawing the flowing curves like the calligraphy of a Zen priest in the air. 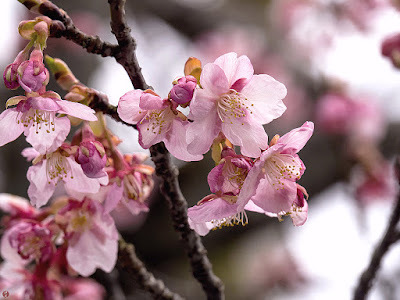 The refreshing fragrance of blossoms is faintly floating here, which makes me confirm the awakening of beautiful spring.